Orlando illustrates once again that the government and media act as one. The story was over practically as it began. 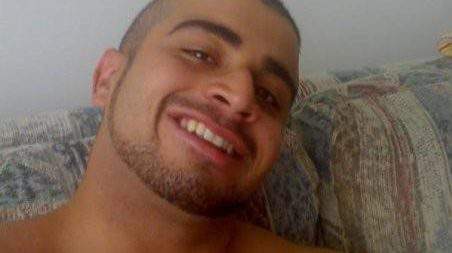 In the early-morning hours of June 12, Omar Mateen opened fire and “killed 50 people” in the largely gay “Pulse” nightclub, wounded another “53,” was “shot dead” by police at the scene, and was immediately declared guilty beyond a shadow of a doubt post-mortem. Any chance this man was a patsy? Of course, the number of those killed and wounded, and other details of the crime, have vacillated. Considerable inconsistencies still were evident as of this writing at 9 p.m. Eastern time in the U.S. on June 12. One timeline says Mateen entered the nightclub around 2:02 a.m. with a pistol and the customary AR-15 rifle, carrying plenty of ammo, and opened fire. But police reportedly didn’t initiate force until 5 a.m.–after dealing with a claimed “hostage” situation. The whole media spectacle by the afternoon of Sunday, June 12 was beyond a rush to judgment. It was an ultra-intense embrace of the narrative that Islam is a mortal, eternal enemy and that all aspects of homosexuality are beyond reproach by anyone. “Hate is a motive; internationally inspired terrorism is a motive,” Jim Cavanaugh Illuminati sheepdog speculated on NBC News, acting as if he possessed all the facts–like an all-knowing prosecutor making opening trial remarks to the “American jury” watching in TV land.